MainAll NewsRadioSpiritualism vs materialism: Who's on top? The Book of Genesis: Recreating creation, one family at a time. 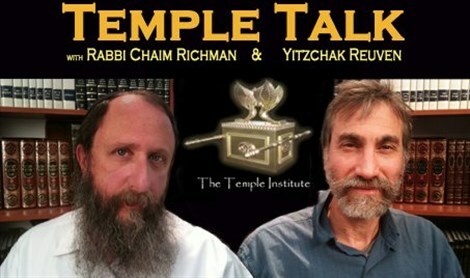 This week's Temple Talk is a solo performance by Yitzchak Reuven, as Rabbi Richman is in the USA, speaking to audiences in Colorado, Arkansas and Texas. Yitzchak focuses on the conflict between Esau and Yaakov, which is still being fought today, a battle between a world defined by the things we possess and a world informed by the knowledge of G-d, between a world order under the steel thumb of "isms" and a world whose heart is the family. What is the Sigd holiday celebrated by Ethiopian Jews during their 2,500 year exile in Ethiopia and now celebrated annually by Israelis in Jerusalem, overlooking the Temple Mount, fifty days following Yom Kippur?